ROAD TOWN, Tortola, VI - Miss World BVI Kirtis K. Malone is said to be already making quite an impression at the preliminary events of Miss World 2013 in Indonesia and, according to Miss World/BVI franchise holder Mr Damion C. Grange, she is unofficially among the top 15 for the People’s Choice Award. The Virgin Islands beauty left the territory on Sunday September 1, 2013 and while in Indonesia has already completed her profile video, her part in ‘Dances of the World’ and the talent auditions. “She made an impression on the organisers and fellow contestants during her talent audition when she sang Hallelujah. Kirtis said she is having a remarkable time,” Mr Grange told Virgin Islands News Online. He also appealed to the Virgin Islands family and friends of Ms Malone to help her in her quest by registering their vote in order for her to capture the People’s Choice Award. Persons can do so by logging on to www.facebook.com/MissUniverseMissiology and vote for Miss World BVI Kirtis K. Malone. Persons can also download the Miss World Application from missworld.com and vote for Ms Malone. The winner of the people's choice award automatically makes it to the top 5. “Two unofficial pageant websites have listed her in the top 15 for the People's Choice Award. So please encourage the community to go vote for her,” said Mr Grange. 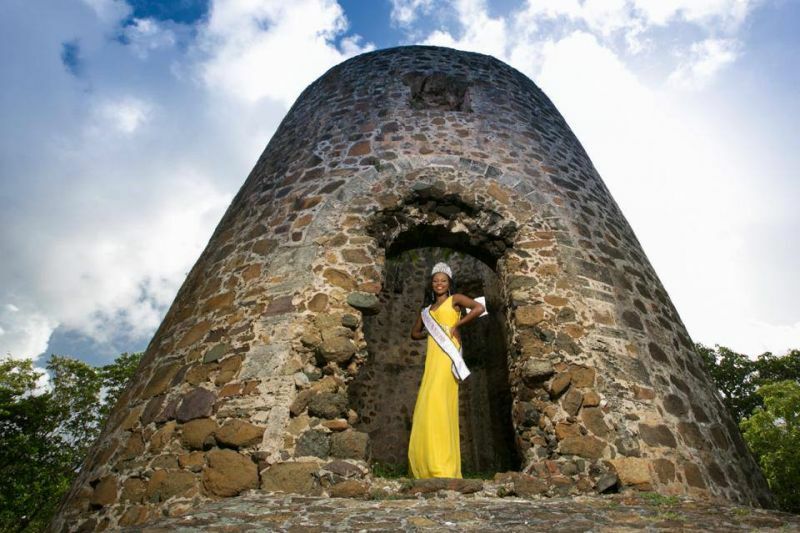 Miss World BVI is among contestants from more than 135 countries chasing after the prestigious crown. Leading up to pageant day, September 28, 2013, the contestants will all be plugging their best in a number of preliminary events and compulsory activities. Based on feedback coming from international eyes, the Virgin Islands’ beauty is one to be watched closely despite the territory’s absence from the pageant for over a decade. Is the contestant from the British Virgin Islands? How will they introduce her at the event? Will the viewers be able to know she is from here or the Virgin Islands west of here? Feeling it! Supporting it! Believing in it! Goooooooooooooooooooooooooooooooooooo girl goooooooooooooooooooooooooooooooo! My goodness! Kertis you are a very beautiful lady. All the best to you miss BVI. She may just surprise the hick out of we and place!!!! The haters SHAME! Out of all the women we sent to this Pageant, not one ever did this good yet it had the haters on here talking horse piss !! Go sweetness you got this crown! That is not true the first miss world bvi (the late Brenda Lewis) was in the Miss Congenialty pool. in 1986 or 1987. I remembered because she was the one who beat out Luce Smith and Sandy Harrigan. And she had to fight for herself then, go check the Library for the facts. Exactly. Bring back credible news instead of this unofficial ting! She is a beautiful Girl. From a talented family. Nevisian genes. Now this would evoke some discussion. What I don't understand though. Why the fake hair? She does not need them. I do wish her all the best.